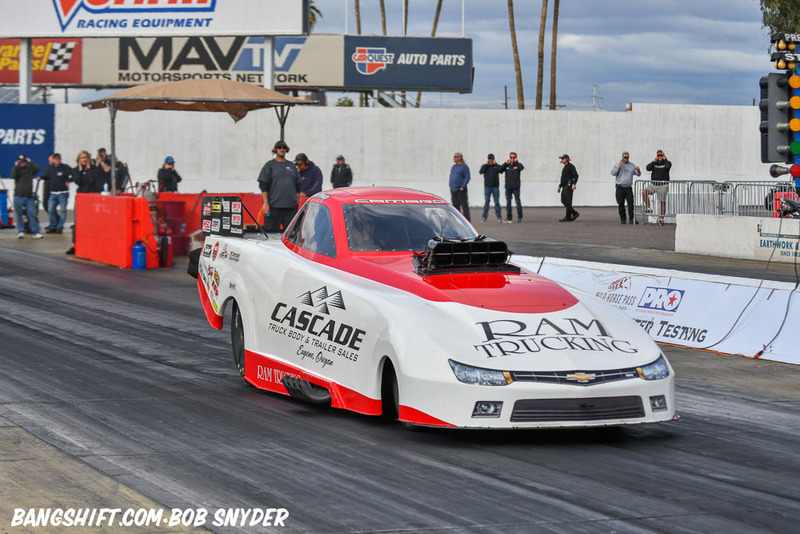 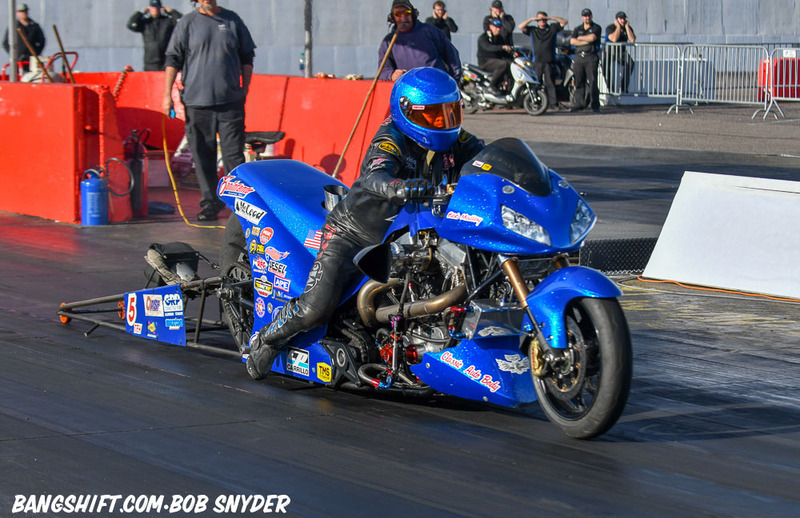 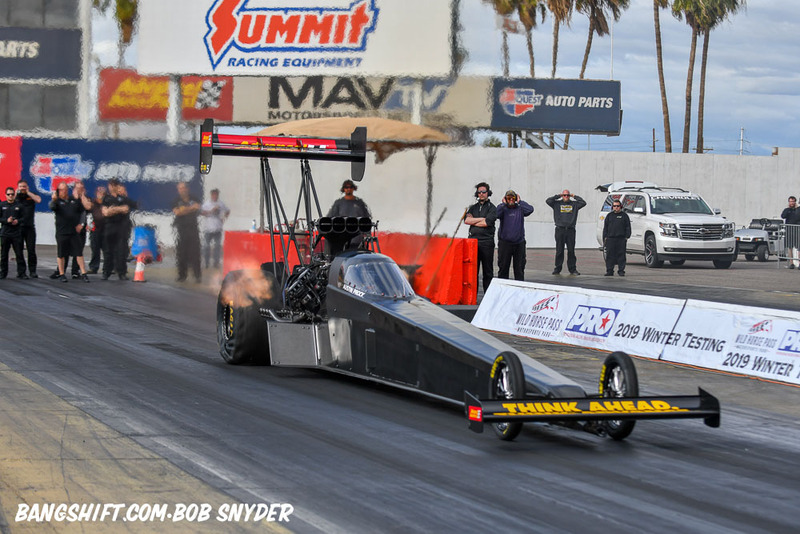 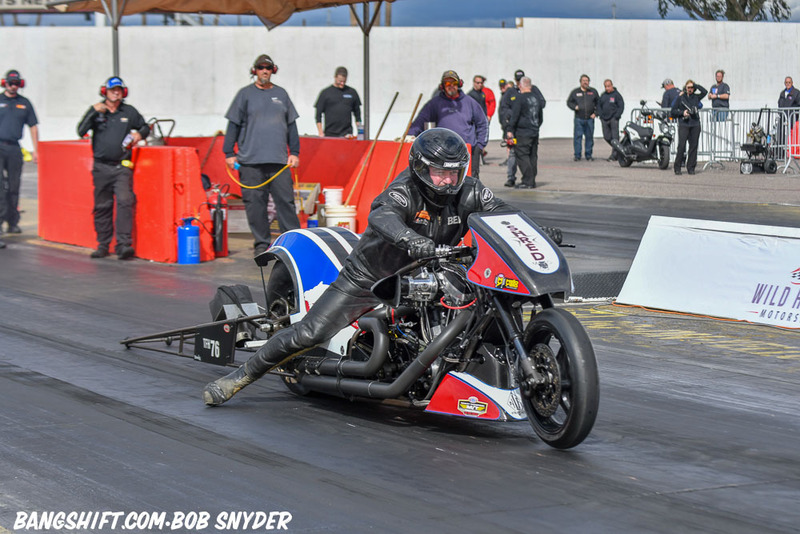 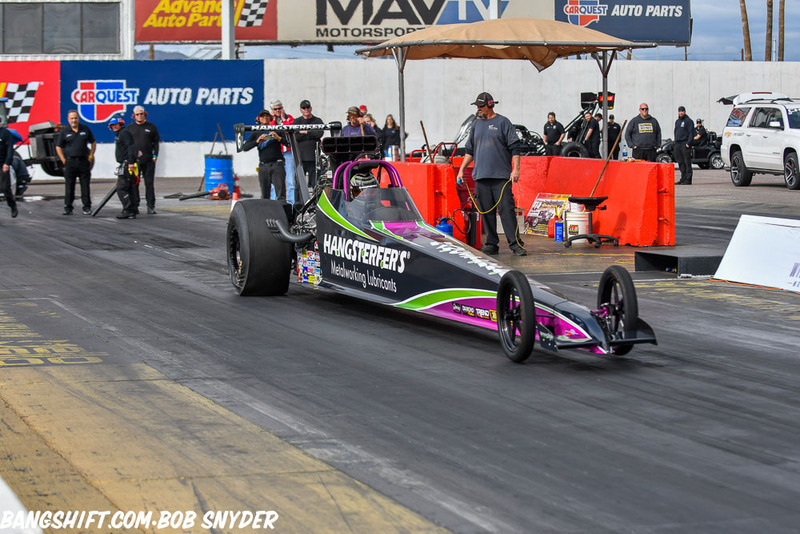 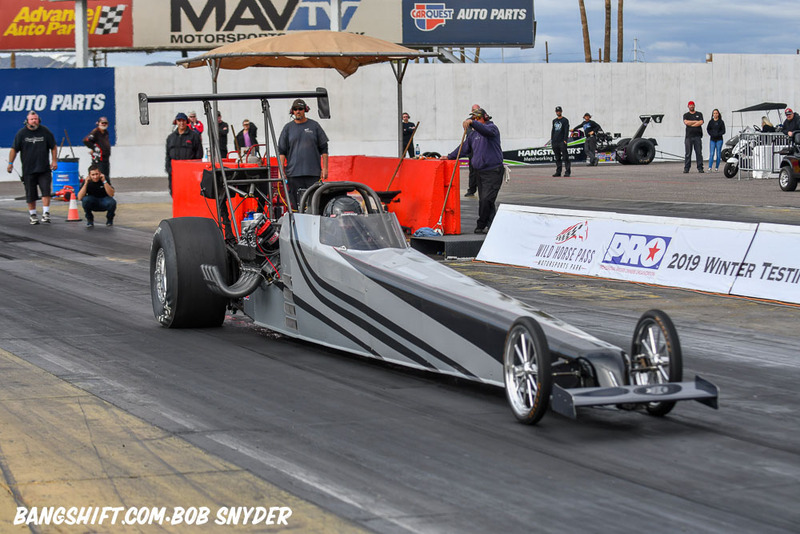 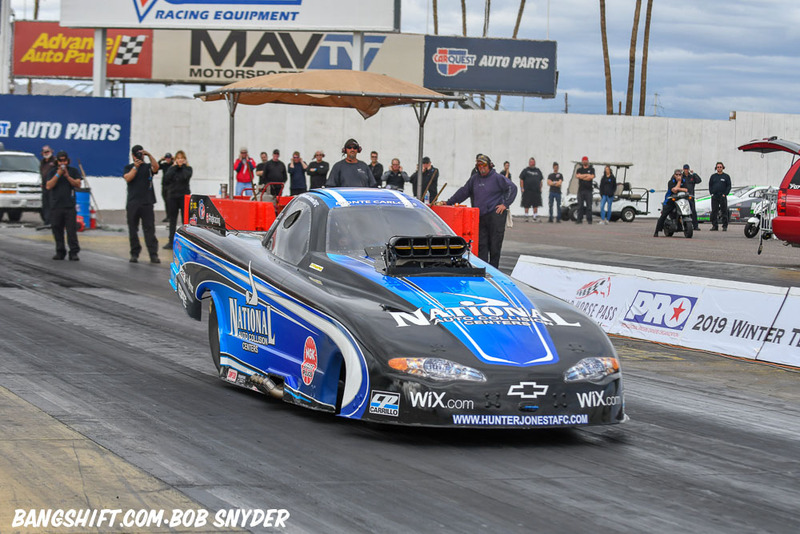 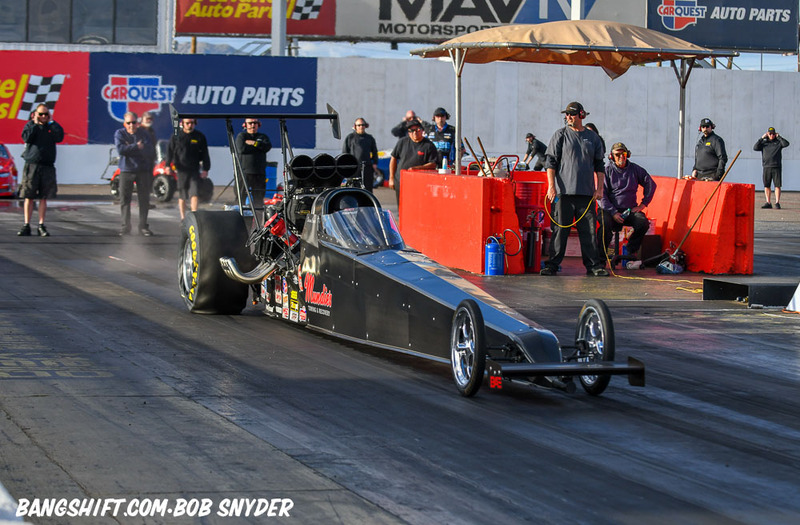 (Photos by Big Bob Snyder) – After four days of the Pro Fuel Cars on the track at Wild Horse Pass Motorsports Park, Sunday was a rainout. 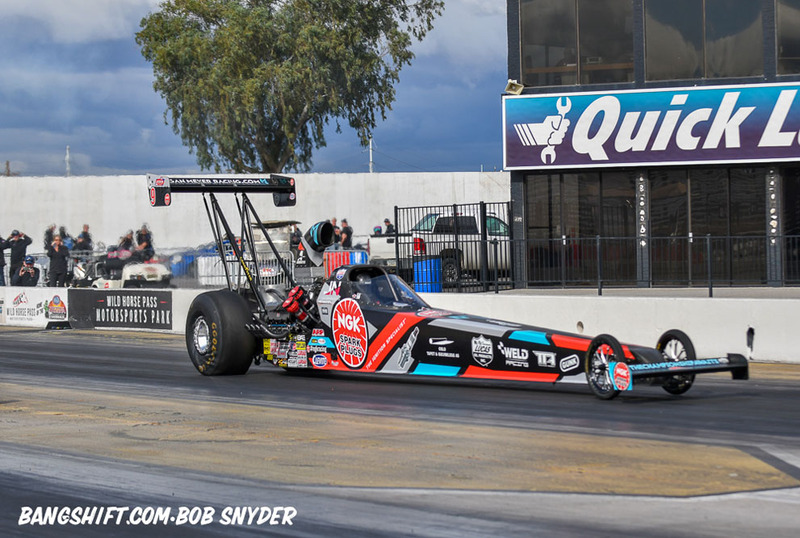 The Fuel cars moved on to Pomona Raceway to park in the pits for the 59th annual Lucas Oil NHRA Winternationals. 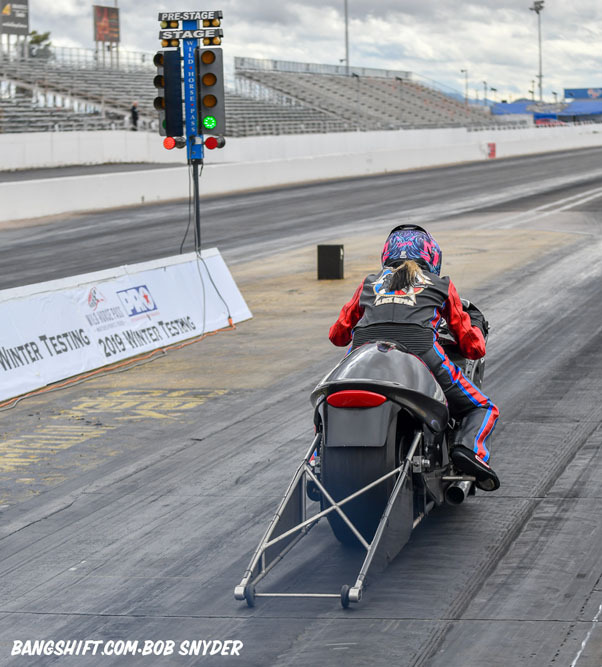 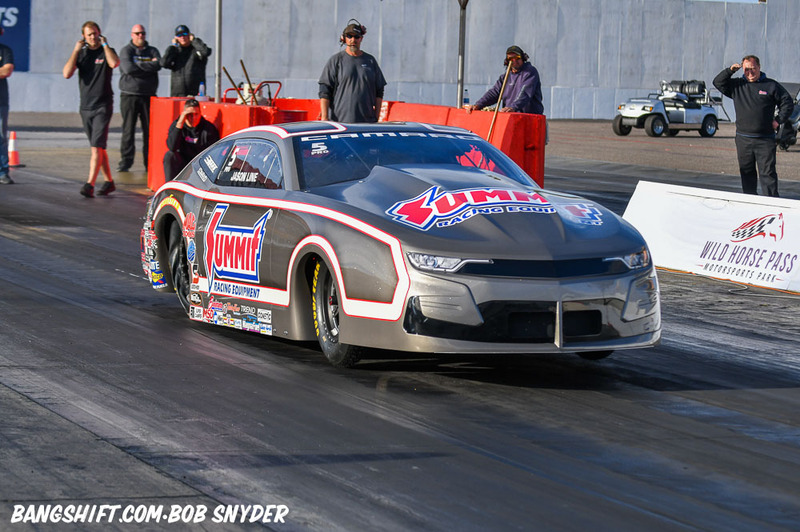 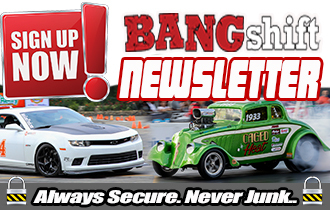 After a rainy Sunday, Monday came with cloudy skies for Pro Stockers, Alky funny cars and dragsters, Heritage Series Funny Cars and bikes to take on the full quarter mile. 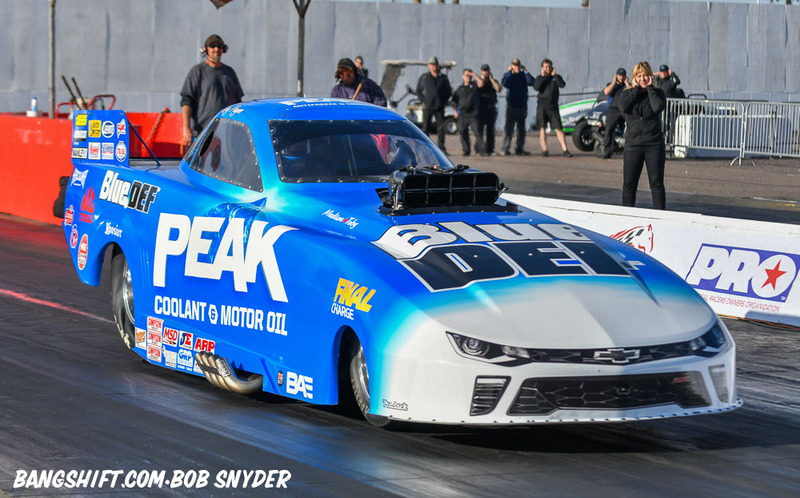 Some of the standout cars were 2018 Lucas Oil World Championship winner Sean Bellemeur. 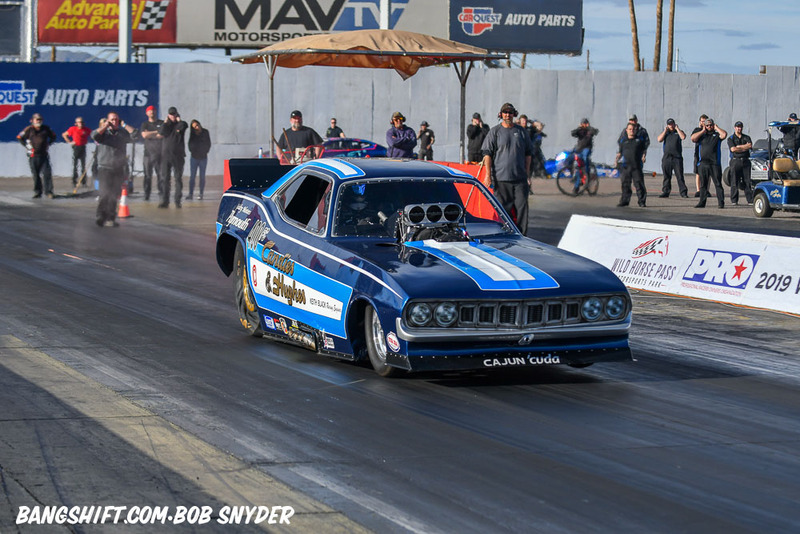 Former West Coast Pro Mod racer Tony Jurado made a couple of passes in his “Capital Punishment” ’69 Camaro, testing for the upcoming Good Vibrations March Meet. 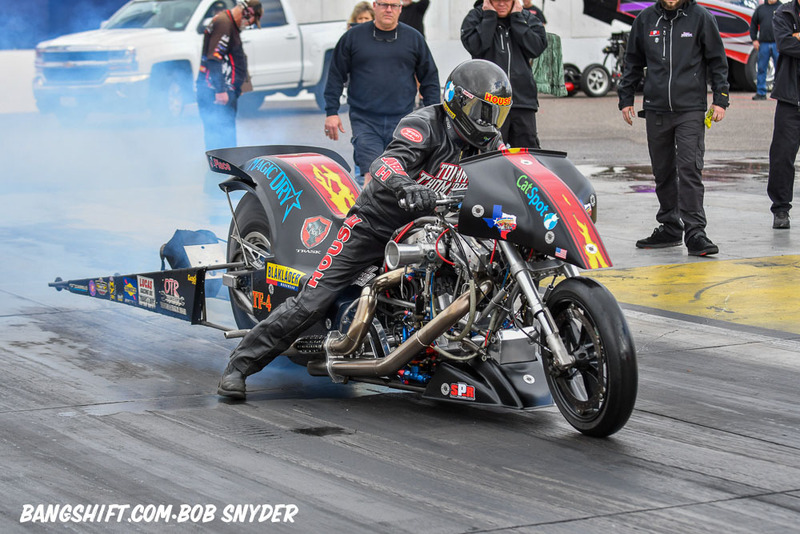 Top Fuel Harley-Davidson rider Ricky House. 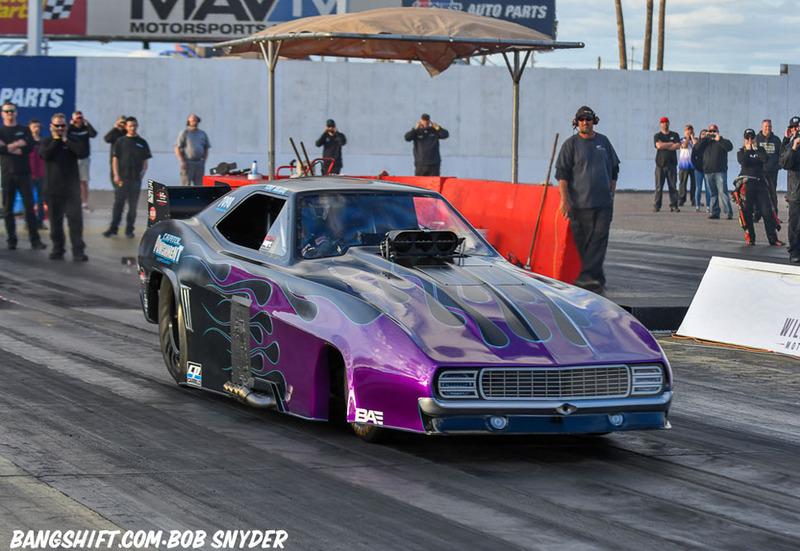 Longtime Southern California Alcohol Funny Car racer Jay Payne’s Camaro. 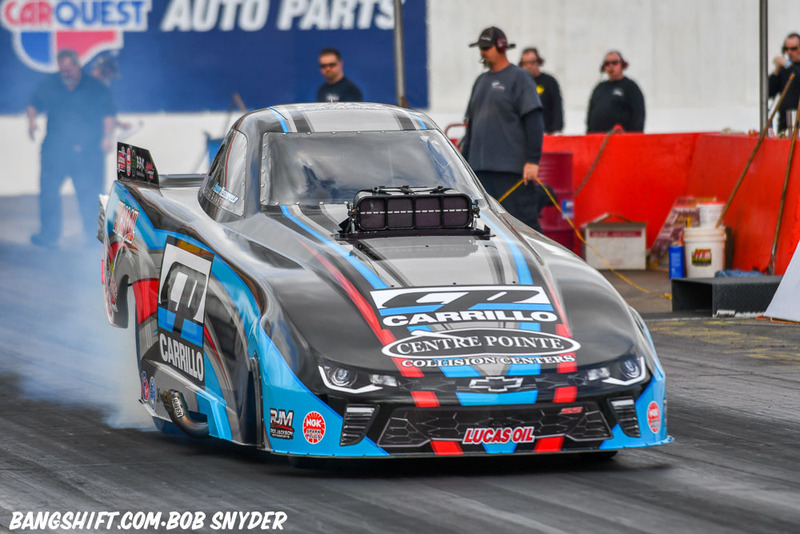 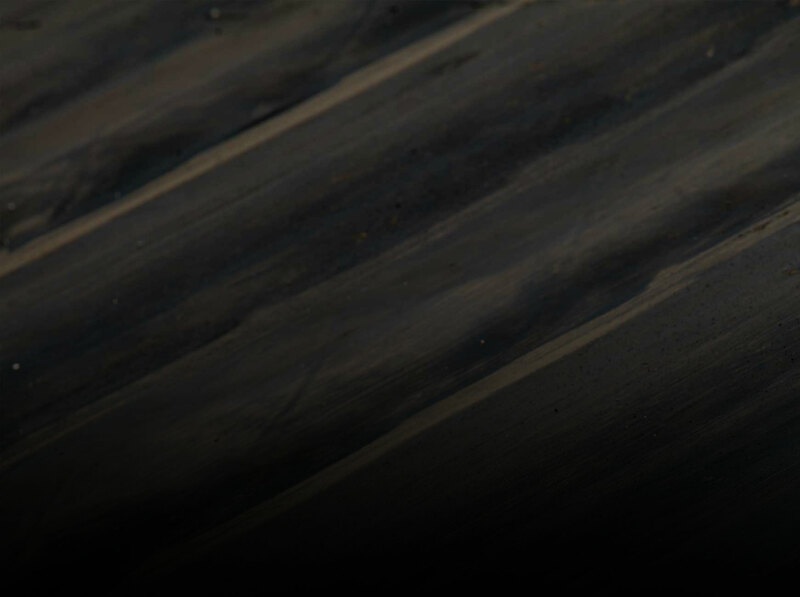 John Force Racing development driver Austin Prock was out to complete his Top Fuel dragster licensing, without major sponsorship, Prock’s on track racing may be limited this year. 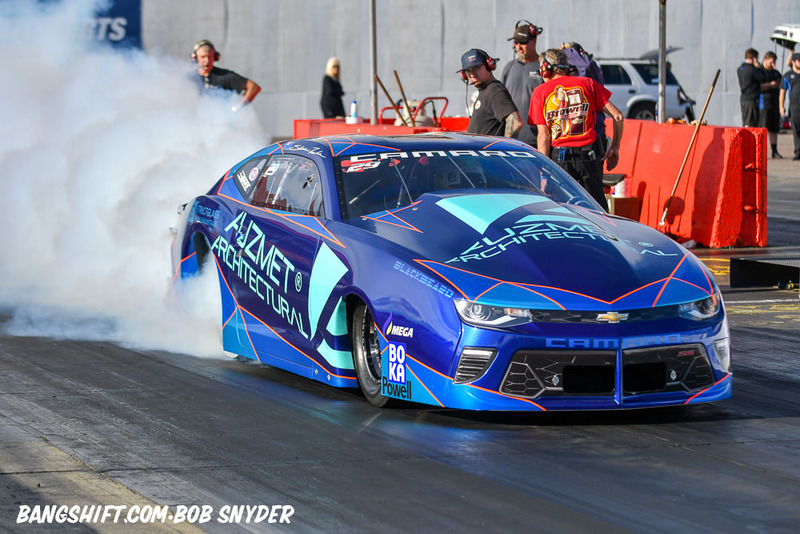 Camaro Pro Stock racer Matt Hartford is VP of Total Seal Piston Rings. 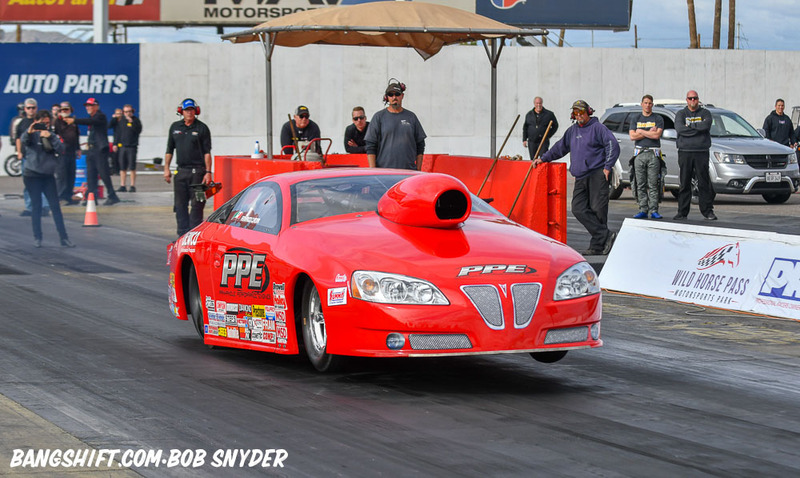 Jim Maroney was testing in another Heritage Series nitro funny car, Jim Broome’s Candies & Hughes “Cajun Cuda” replica. 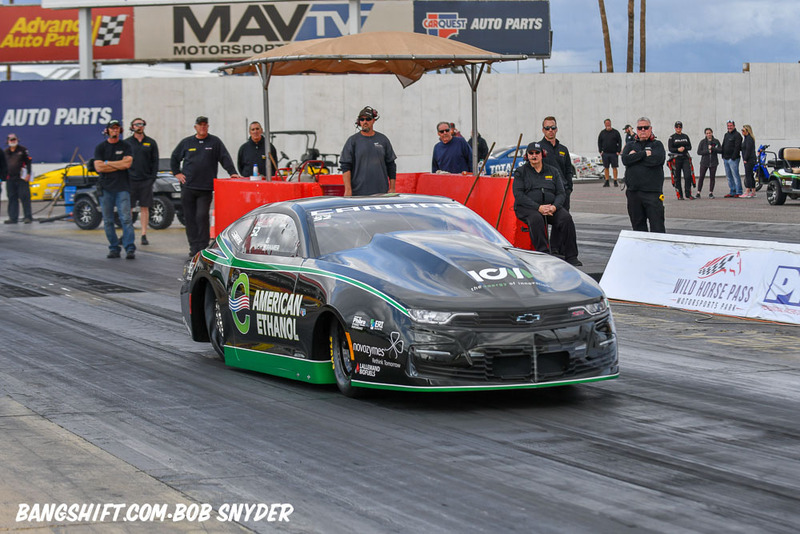 The NHRA Mello Yello Drag Racing Series 2019 season starts at Auto Club Raceway at Pomona for the Lucas Oil NHRA Winternationals presented by ProtectTheHarvest.com Feb. 7-10. 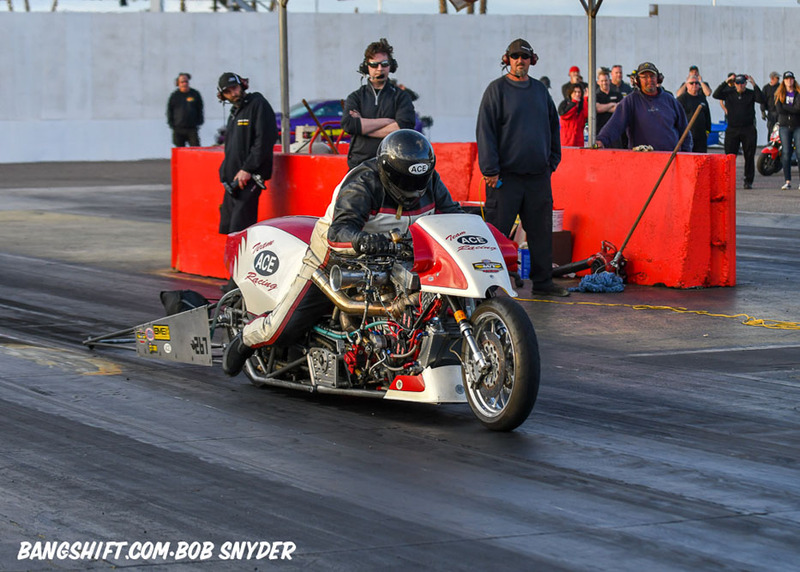 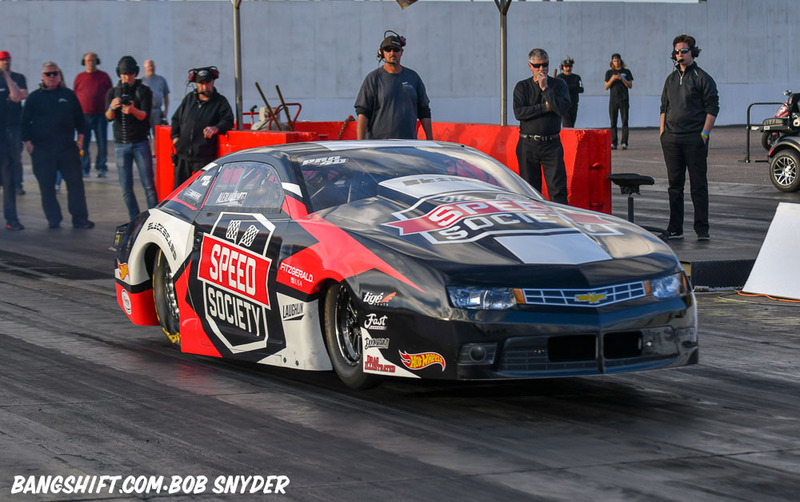 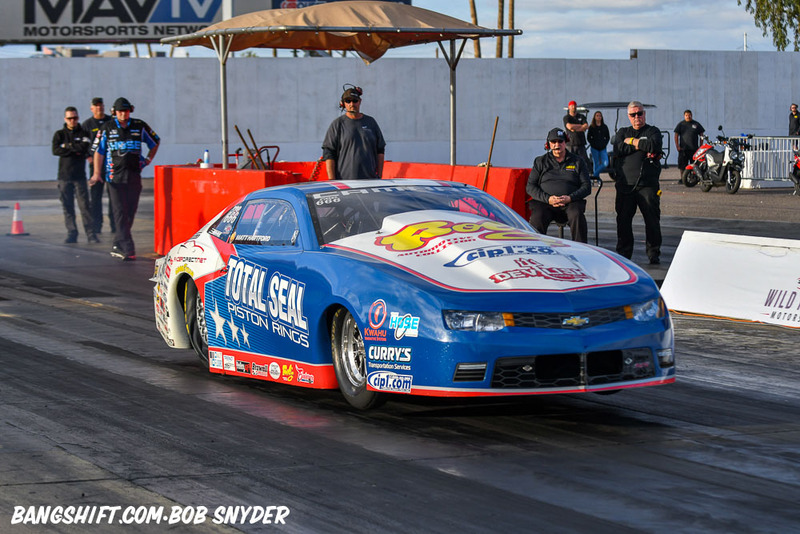 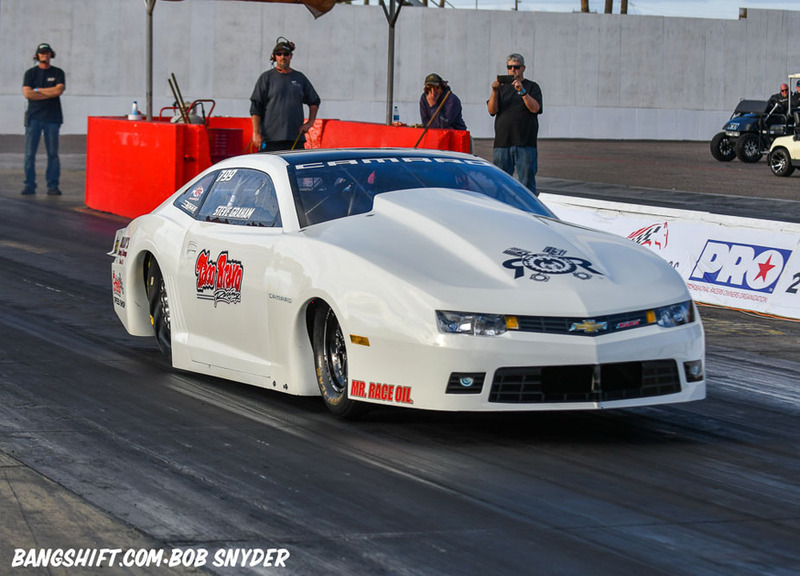 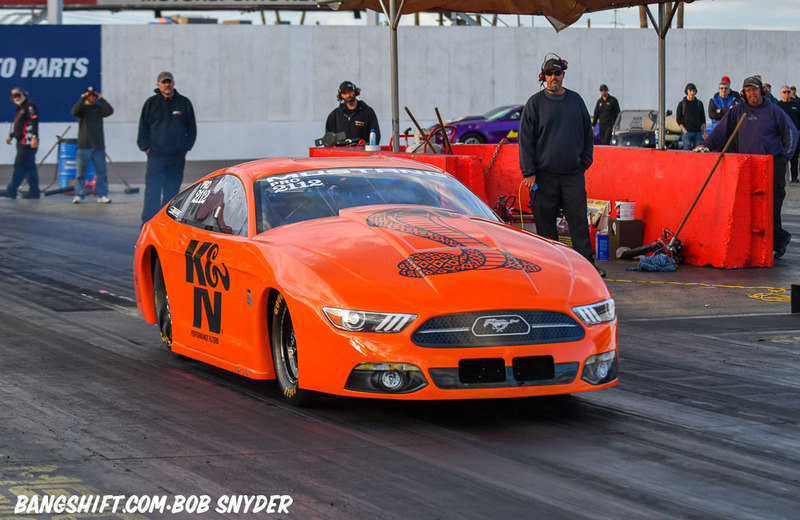 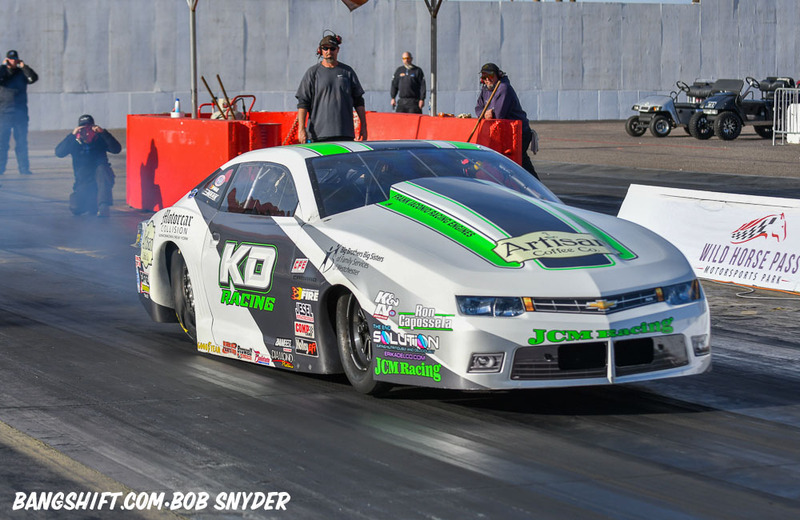 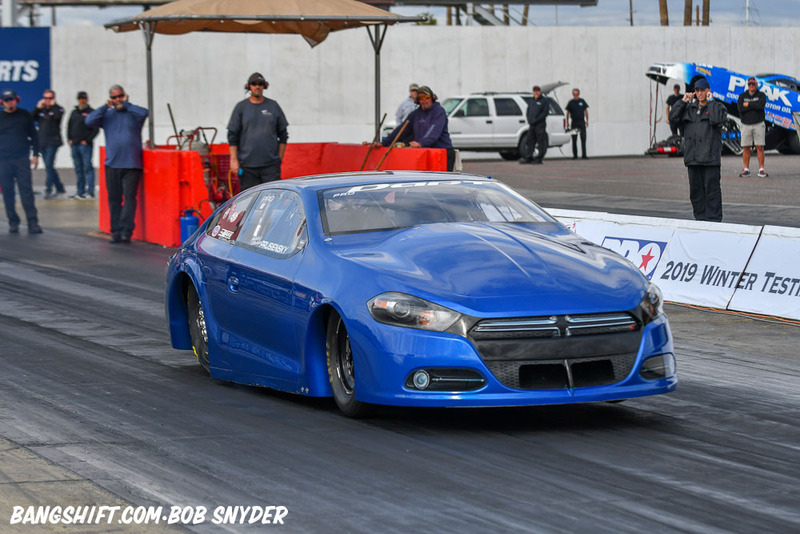 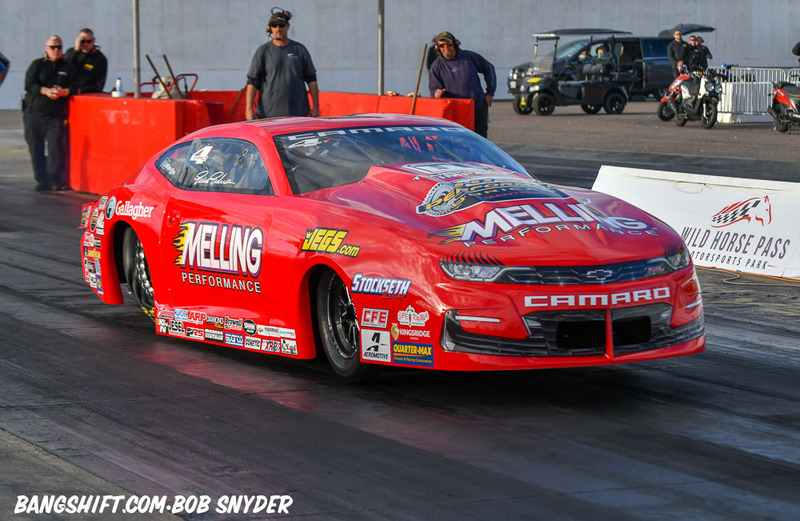 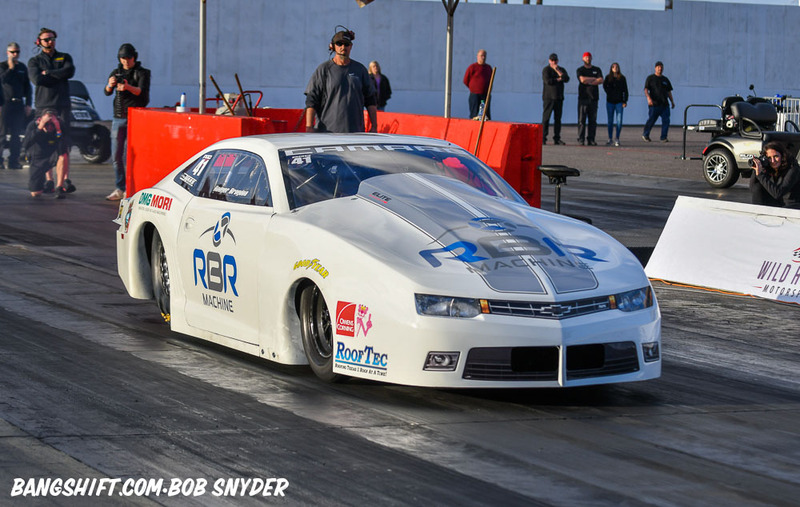 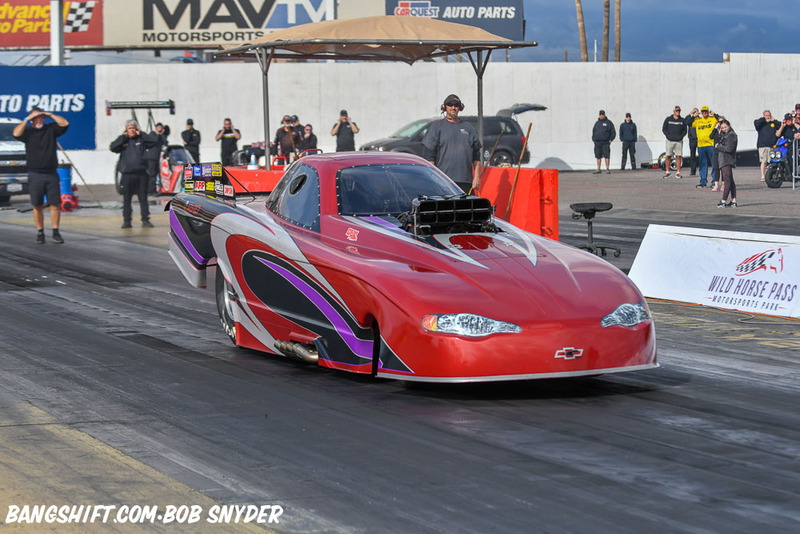 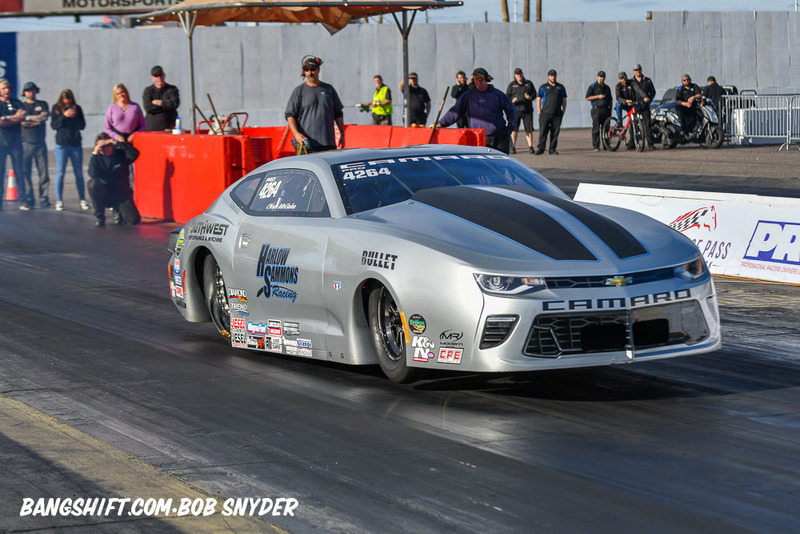 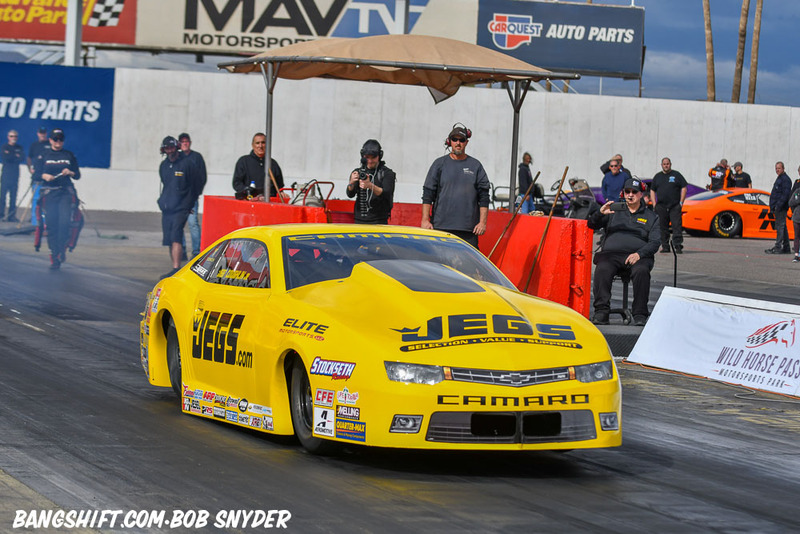 Mello Yello Drag Racing Series qualifying will feature two rounds at 12:00 p.m. and 2:30 p.m. on Friday, Feb. 8, and the final two rounds of qualifying on Saturday, Feb. 9, at 12:00 p.m. and 3:30 p.m. 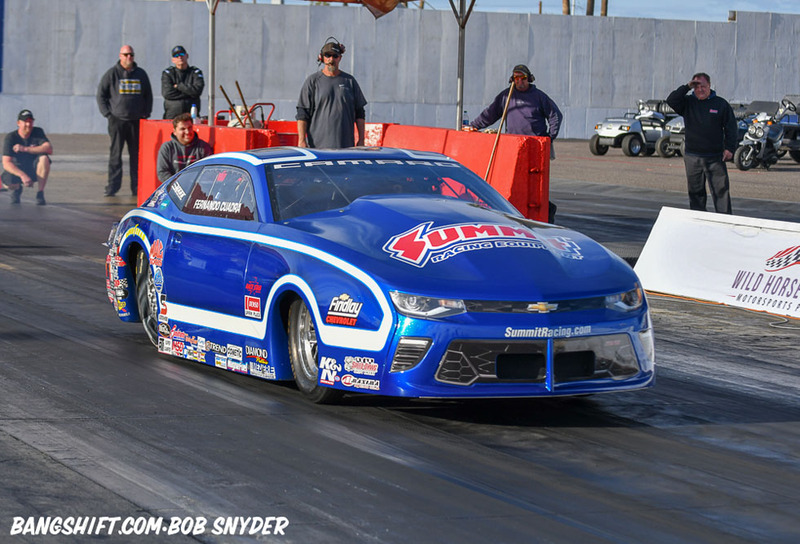 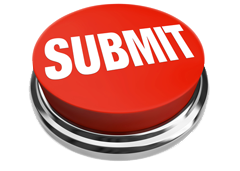 Final eliminations are scheduled for 11 a.m. on Sunday, Feb. 10.